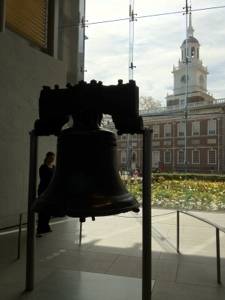 Tradition tells of a chime that changed the world on July 8, 1776, with the Liberty Bell ringing out from the tower of Independence Hall summoning the citizens of Philadelphia to hear the first public reading of the Declaration of Independence by Colonel John Nixon. 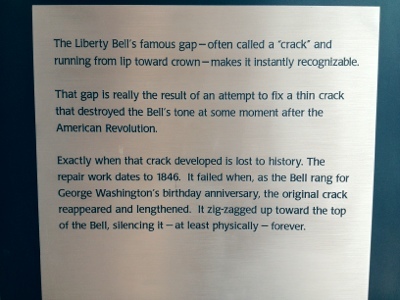 The truth is that the steeple was in bad condition and historians today highly doubt that the Bell actually rang in 1776. 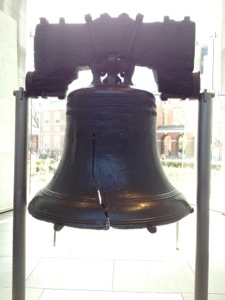 However, its association with the Declaration of Independence was fixed in the collective mythology, due to fictional accounts made popular a decade after Abolitionists had, by 1837, made an icon of the Bell as a symbol of emancipation and liberty. 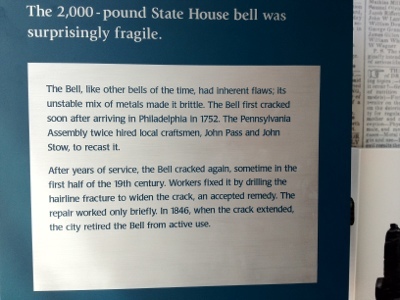 The Pennsylvania Assembly ordered the Bell in 1751 to commemorate the 50-year anniversary of William Penn's 1701 Charter of Privileges, Pennsylvania's original Constitution. It speaks of the rights and freedoms valued by people the world over. Particularly forward thinking were Penn's ideas on religious freedom, his liberal stance on Native American rights, and his inclusion of citizens in enacting laws. After the divisive Civil War, Americans sought a symbol of unity. 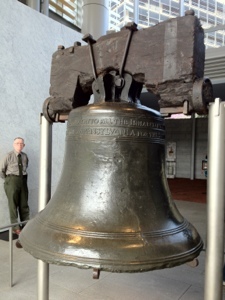 The flag became one such symbol, and the Liberty Bell another. 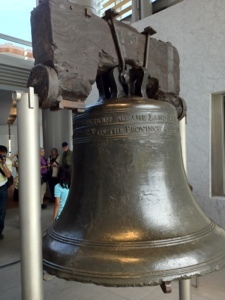 To help heal the wounds of the war, the Liberty Bell would travel across the country. 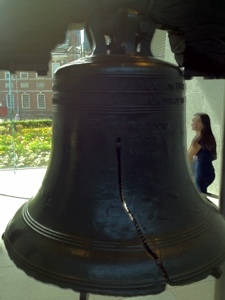 The last picture shows Independence Hall in the background, where the Declaration of Independence was signed. 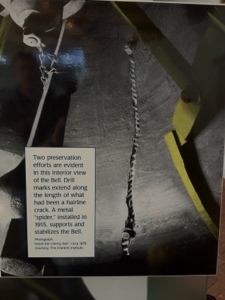 I will be posting photos from after the tour at 1:15.